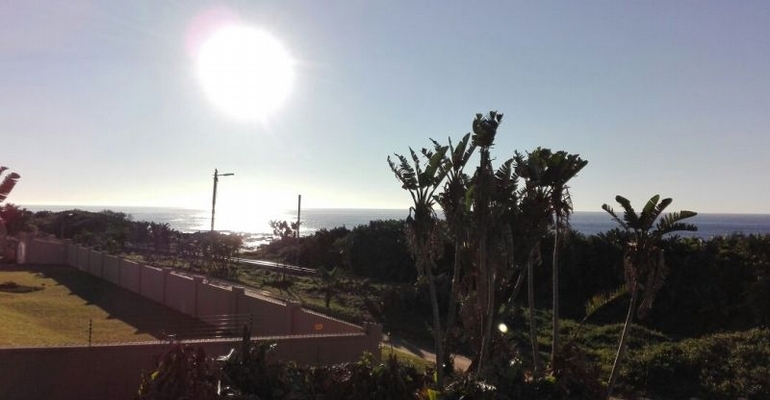 This Beautiful Double Story Home has stunning ocean view and is situated in Hibberdene on the South Coast of Kwa-Zulu Natal. This holiday house has 2.5 bedrooms, 2 bathrooms and can accommodate up to 6 guests. The property is kept safe with an electric fence, alarm system and automated sliding gate and has open / shaded parking. There is a lovely decking area with braai facilities, a beautiful garden, children’s play area, entertainment area, large backyard and the property is pet friendly. The kitchen is fully equipped with all your holiday essentials and a washing machine and tumble dryer is also available. DSTV is available at an additional charge.